Cash for Homes in Metro Detroit – Worth A Try? Home / Blog / Cash for Homes in Metro Detroit – Worth A Try? If you want to sell your house fast in Metro Detroit, getting listed with the real estate agents and waiting for them to bring you a good offer might not be the best idea. Realtors have their own priorities, and if you’re seeking a quick closing on the deal, you might be disappointed. This situation usually comes when you’re relocating, going through a divorce , selling a loved-one’s house, or dealing the probate process. In all these cases, it is essential to make a quick sale of and get it over with. Emotionally, it’s a lot to take. Rather than seeking help from a realtor, you can always choose to sell your home for cash and sell it in As IS condition. The experts, like Detroit Cash For Homes, continually prove to be the best help in selling a property fast for cash. We buy houses in “as is” condition–the seller doesn’t need to spend any money on repairs. The deal closes very quickly, and in case of Detroit Cash For Homes , it takes only 7 days. 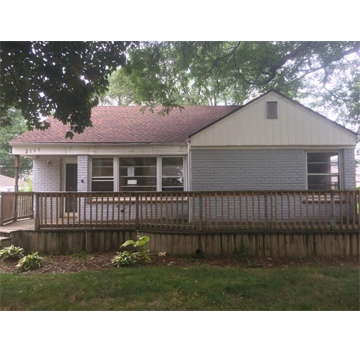 All kinds of houses in any location in or around the Metro Detroit area and in any condition are bought by Detroit estate home buyers like DCFH. With these benefits in mind, getting all cash for your home can be a great option when it comes to selling a house. It is certainly worth a try! To get the best All Cash Offer for your home, get in touch with Detroit Cash For Homes (DCFH).